National Prostate Awareness Association – Check It! & Correct It! National Prostate Awareness Association embarks upon the ultimate call of solidarity by implementing the Check it! & Correct it! Campaign. Please register to become a member of National Prostate Awareness Association today, the resource for the Check it! & Correct it! Campaign. NPAA will become synonymous with Hope for a better tomorrow, Hope for the future, and Hope for victory over prostate cancer. Look For Our NPAA Coach Coming to Your Area Soon! NPAA Foundation! The Charitable Arm of NPAA! The NPAA Foundation is organized for research, educational, and scholarship purposes as meant by and within the meaning of those terms as used in Section 501(c)(3) of the Internal Revenue Code of 1986, as amended. As the fund raising arm of NPAA, the Foundation is committed to increasing the direct support we are able to provide our Association. During 2018, we will continued to reach out to the entire NPAA membership and corporate friends, inviting them to join us in this effort. What follows is a brief report of some of our most significant accomplishments, as well as goals for 2019. The NPAA Foundation Board is committed to continuing its work in support of NPAA. We invite all NPAA members and friends to join the Foundation in serving millions of men having to deal with prostate cancer, and their families. Our mission is clear…to provide Hope for Victory, Hope for a Cure! Fact: Prostate cancer is a form of cancer that begins in the gland cells of the prostate, which is found only in males. It affects over 200,000 men each year. Men over the age of 40 need to be more aware of what prostate cancer is. In the last 10 years, prostate cancer has become one of the most common reasons of death among men over 40. Unfortunately, it spreads quietly and quickly. It is natural for people to be denial as we all think that such things would never happened to us, but guess what? We all are at risk. There is no male immune to this condition as it affects about one in every six men, particularly African-American men. Honestly, prostate cancer does not care if you are Hispanic, white or black, as long as you are a man! A new study provides insight into how cancer immunotherapy works and suggests ways to enhance the treatment’s effectiveness. 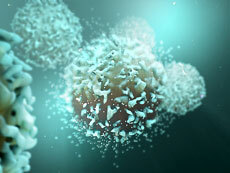 The NCI-led study, published in Science, examined the effect of high potassium levels on T cells. The 2019 Szent-Györgyi Prize for Progress in Cancer Research will be awarded to NCI’s Steven A. Rosenberg, M.D., Ph.D., for his pioneering role in the development of immunotherapy. 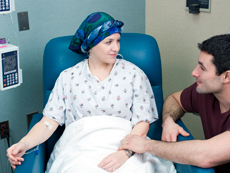 In a new study, NIH investigators found that patients treated with chemotherapy for most solid tumors had an increased risk of tMDS/AML, a rare but often fatal blood cancer. The study, which used population-based data, was published in JAMA Oncology. 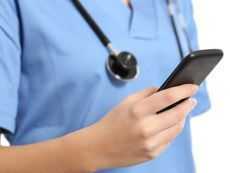 A research team from NIH and Global Good has developed a computer algorithm that can analyze digital images of the cervix and identify precancerous changes that require medical attention. The AI approach could be valuable in low-resource settings. 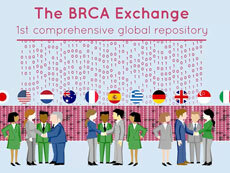 The BRCA Exchange, a global resource that includes data on thousands of inherited variants in the BRCA1/BRCA2 genes, is available to the public through a website and new smartphone app. A clinical trial showed that ibrutinib plus rituximab is superior to standard treatment for patients age 70 and younger with untreated chronic lymphocytic leukemia (CLL). Findings were announced at the American Society of Hematology annual meeting.